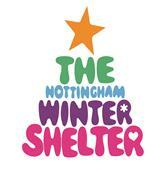 The Nottingham Winter Shelter ran for 20 weeks from 13th November 2017 to 2nd April 2018. The single shelter provided 1,879 nights’ protection from the winter weather, for a total of 139 guests (of which 17 were women) who spent an average of 17 nights in the shelter..
Like last season, access to the shelter was almost entirely limited to people who had been seen sleeping rough by the Street Outreach Team (SOT) and referred to Emmanuel House. Since potential demand far outstripped the Shelter’s capacity, some sifting of applicants by the SOT according to suitability took place at the point of referral, but no referrals were turned away due to inadequate bed space. It is apparent that the multinational trend of previous seasons has been reversed, with fewer nationalities represented, and an increasing proportion of at least 64% British nationals. Despite this reversal, ethnic diversity reflected a similar pattern to last season, with 59% White British and 19% White Other. Of the reasons people offered for needing the Winter Shelter, the most notable included having no income (21%), relationship breakdown (20%), eviction (15%) and domestic violence (10%), but 25% gave complex reasons that defied easy categorisation. Support needs other than accommodation also reflect an increasingly challenging environment. The most prominent need was help with income and benefit claims (42%), followed by disability (32%), mental health problems (23%), substance misuse (22%), employment issues (19%), and offending (19%), while at 5% alcohol misuse was well down on previous seasons. By the time the season ended, we had facilitated access to more permanent accommodation for a greater proportion of our guests than we were able to last season, despite the limited options. Of the 139 guests, we were able to find secure accommodation for 68. We were able to reconnect 4% of guests with friends and family, assist 23% into hostel or supported accommodation, set up 22% with their own tenancies mainly in the private rented sector, and help 8% with reconnection to other nations or regions of the UK, leaving a remainder of 40% who either left without leaving details or returned to homelessness. Success can be attributed entirely to the efforts of two Shelter Coordinators, a dedicated team of overnight staff, and an army of 103 volunteers. As in previous seasons, they helped set up the shelter and provide hot snacks in the evenings, and turned out at 7.00 a.m. to provide breakfast and help clear away to enable host churches to use their premises during the day. We are also grateful for the collaboration of the Street Outreach Team, Housing Aid and the Homelessness Prevention Gateway in making and responding to referrals. We are further grateful to the five churches who generously shared their premises with the Shelter during the 2017-18 season: St. Saviours in the Meadows; Thomas Helwys Baptist Church; St. Christopher’s, Sneinton; The Arches, Trent Vineyard and the Friends Meeting House, Clarendon Street. We are also forever grateful for the support from donors through whose generosity the Shelter was able to operate for another season.